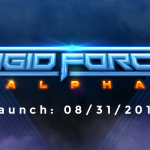 We’re extremely happy to reveal that Rigid Force Alpha will soon be available on Steam! We plan to have the game completed by mid-2018, so that you can finally enjoy our first big project. In the meantime we are working hard to finalize all the content and eliminate the last few bugs. 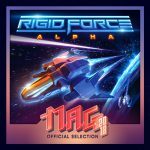 However you can already visit our Steam Product Page and add Rigid Force Alpha to your wish list! 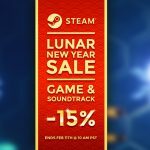 This way you can make sure to be one of the first to hear about the release. 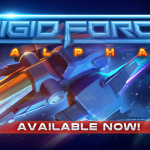 Just click the link below and add Rigid Force Alpha to your wishlist! Simple as that! We’ d love to see you there! By the way: We have also created a new landing page for RFA. Here you can find brand-new screenshots and the latest trailer, which was produced in close cooperation with Teemu Åke from Pozor! Graphics. Come have a look! Is there already a fixed release date yet? Unfortunately not at the moment, but we can already say this much: Rigid Force Alpha is expected to be ready in the second or third quarter of 2018 and will be immediately available on Steam after that. I’m more of a console player – will Rigid Force Alpha also appear for one of the current game consoles? We hope so! However, this requires a lot of preparatory work, which we can only guarantee if the PC version of Rigid Force Alpha is well received. 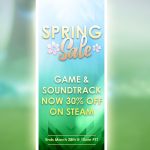 So keep your fingers crossed and support us by telling your friends about our game and buying the upcoming PC version. We count on your support!